IMCDb.org: 1973 Leyland Marina MkI [YDO24] in "David Kilgour: You Forget, 1992"
Wiki Marina-in-NZ text - "The Morris Marina was a popular car on the New Zealand market, imported by the New Zealand Motor Corporation. Imports began with built-up British-sourced saloons and coupes (in 1.3 and 1.8 litre forms) in 1971, but local assembly of Australian-sourced (E-Series engines) models began in 1972 after the release of the Marinas there. Six cylinder models were added in 1973. In 1974, before the demise of Leyland Australia's manufacturing operations, local assembly switched to British-sourced models again in saloon, estate, van and pick-up forms. Batches of fully built UK-sourced cars also came in 1973 and 1974 when the government allowed additional import licences due to the inability of local assembly plants to keep pace with demand for new cars. In 1979 the Marina received a facelift and the BL O-Series OHC 1.7 litre engine, however at the time the Marina name was perceived as negative by the New Zealand public – hence the Marina name was dropped completely, the car being renamed Morris 1700. The Morris 1700 had high equipment levels and included front spoilers and driving lights on all models. The related van and pickup models were renamed Morris 575. Production of this car ceased in 1981, and it was replaced locally by an expanded range of NZMC Honda products." Briefer info from ARonline - "1972: Dominion Motors (Newmarket factory, Auckland) started to assemble Australian-sourced Morris Marina packs......... 1974 Dominion Motors Commercials (Panmure plant, Auckland) started to build Austin/Morris Marina 1.3-litre, 400kg van to replace the Morris Minor Panel van. It was available in white only, with blue trim.". Looks early trim but non-UK hubcaps, so I guess 1972-74 UK-origin, Aus-supplied, NZ-build, and assuming Leyland branding as used in Aus. 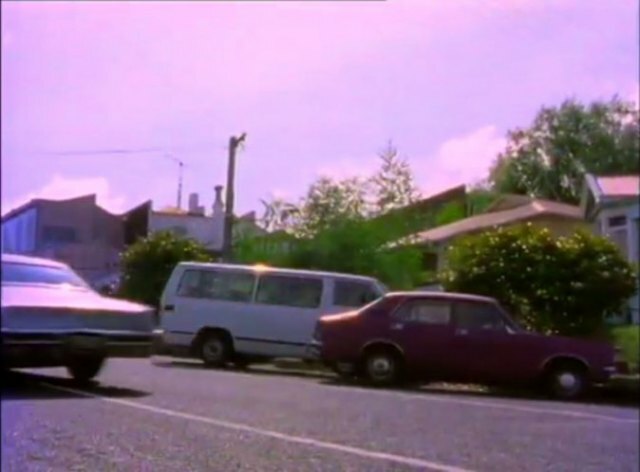 This seems to be our first NZ Marina car, but we have a Leyland van as well, although that was UK-supplied for NZ assembly without any Aus involvement.